Since 1974 FAMAT has developed, manufactured and sold a complete range of piston type “Sampling Valves“, based on the patented concept of the “Expanding Piston Technology“: the best solution to sample powder from processing equipment (dryer, mixer, reactor, etc.). “Dead zone free”, tight from full vacuum to 10 bars, and very reliable, the FAMAT Sampling Valves have acquired an unprecedented reputation among most major pharmaceutical, biotechnological and chemical companies worldwide. FAMAT Sampling Valves offer a combination of security, representativity of the sample, efficiency, simplicity and maintainance-free operations. For general questions and enquiries just contact us. Almost all FAMAT valves are based on our patented Expanding Piston Technology EPT®. 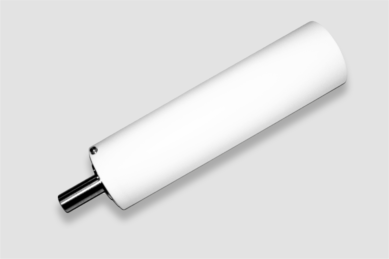 The patented system inside this piston allows the PTFE external coat to expand and insure a perfect tightness from vacuum up to full rating pressure 10 bar (145 psi). The advantage of having an expandable piston inside the valve is to eliminate the need for O-rings that can be damaged during valve operation, and consequently generate contamination (dust) for production. 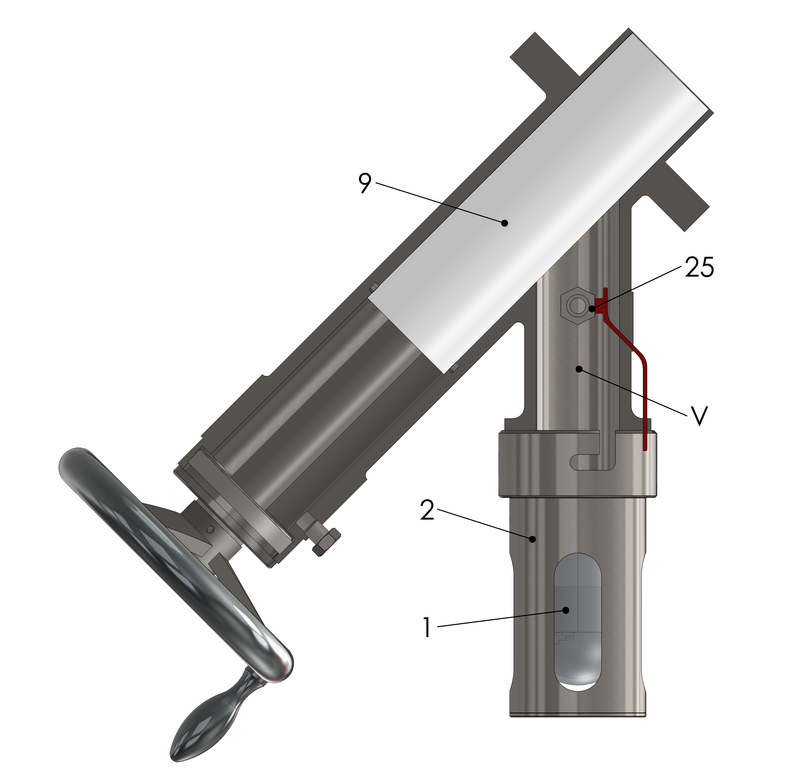 Another big advantage of our design is that in closed position, the piston is flush with the connection point, leaving no dead space. The piston is flush with the reactor or dryer, leaving no dead space (Fig.1). 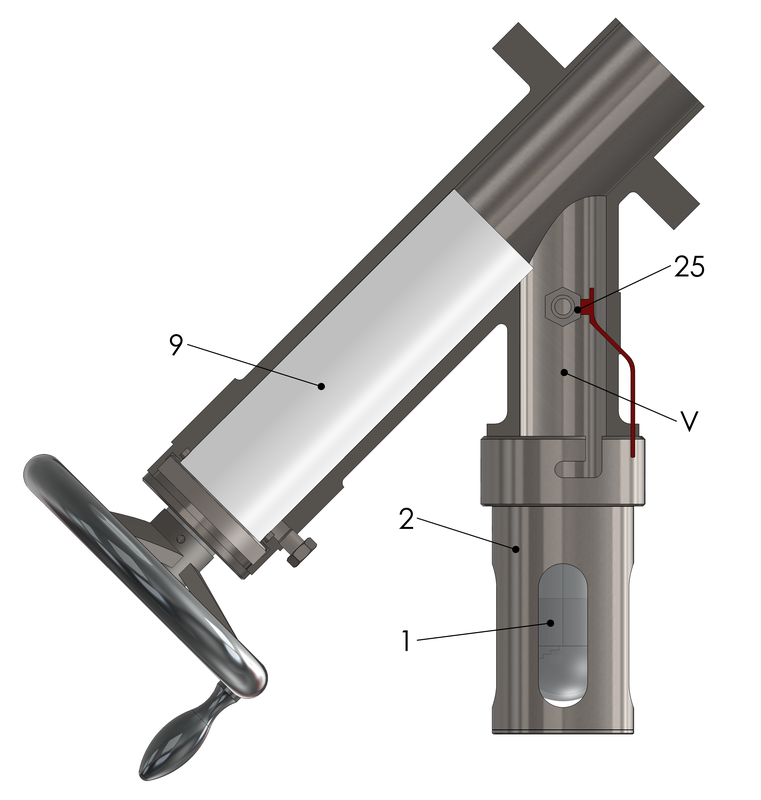 A perfect seal is formed directly by the piston (9) against the body of the valve. Turn the handwheel counter clockwise to lower the piston (9) to its open position. While the product flows down into the sampling bottle (2), the operator can check the desired quantity of the product through the sight glass (1) (Fig.2). Turn the handwheel clockwise to bring back the piston (9) in its closed position. A firm final turn of the handwheel will give reliable sealing and no dead space. Equalise the pressure (or vacuum) in the chamber (V) by opening the valve (25). 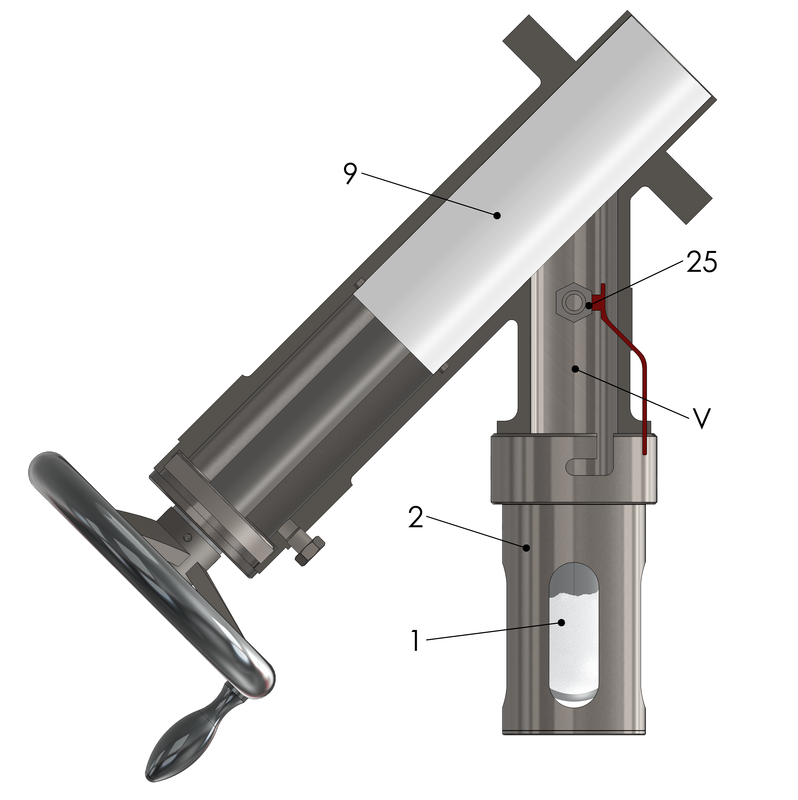 Remove the sampling bottle (2) on its quick coupling connection (Fig.3).